I am so excited to share Siân Killingsworth’s useful, usable advice with you! She’s a wellspring of marketing and small business tips that really help simplify many processes. Siân is a copywriter, content curator & strategist, and social media advisor to small businesses and solo-preneurs like you! She’s an expert at writing content for social media, blogs, websites, and digital marketing, plus she’s a whiz at social media strategy and writing. She helps small businesses determine how social media can benefit them, then helps them expand audience reach and attract new customers. She loves prawn burritos, puns, and any opportunity to wear fancy shoes. Contact Siân at siankillingsworth@gmail.com or by visiting www.sianessa.com. When you’re running a small business, it’s easy to get overwhelmed by all the hundreds of details that help your operation flourish. Spend too much time fiddling with those details and you’re apt to lose sight of your overall strategy. Wouldn’t it be great if there were some smart, useful business applications that all worked together to make your life easier? And wouldn’t it be awesome if they were free? Well, guess what? I’ve found them! Google has created a series of online applications and tools that go way beyond that famous search engine. 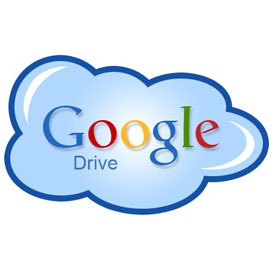 Google Drive. Remember ftp? Formerly named Google Documents, this is a handy, online storage drive to save, archive, and share documents of all kinds. I keep several folders containing my clients’ graphics, documents, presentations, and more. I’ve got access to spreadsheets that document the paperwork traffic around a given project, with deliverables itemized and assigned to the appropriate people. I even know people who’ve used it for planning their weddings with great success. Google Search. If you curate content, use the search function to locate articles, images and other shareable assets. In Google News, you can add sections based on your search criteria to appear automatically in the navigation bar that appears on the left side of the page. You’ll save a lot of time doing this rather than re-creating your search every time. In Image Search, you can click on the advanced search feature to locate images with particular colors, sizes, from a certain place, and by type of file format. You can search for images that are available for free re-use, redistribution, and even images you can modify. In Video Search, utilize the power of Google’s ownership of YouTube and find awesome videos quickly. 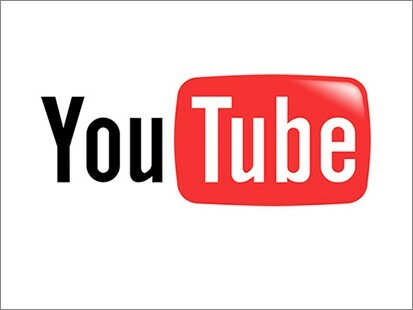 You can subscribe to companies’ YouTube channels to get automatic notification of new uploads or other updates and information from that company, and you can choose how often you hear from them. Google Reader. This is a fairly standard RSS feed of anything you send to it. I get updates from the blogs I subscribe to, plus the news alerts I created are sent here. YouTube. I really hope that you’ve gotten at least a little bit familiar with YouTube by now. It’s a treasure trove of videos covering every imaginable topic ranging from home-improvement tutorials, to industry-created instructional videos, to movies & TV shows, to family videos. These videos have been uploaded by amateurs and professionals alike, and much of it is intended to be shared – most people hope and pray that their video goes viral! Just make sure you double-check any copyright and distribution warnings before you send your discoveries into the ether. 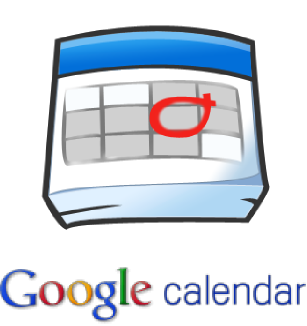 Google Calendar. This feature incorporates all the expected functionality of creating meetings and reminders, and of course you can invite other people (who use Gmail) to attend meetings you create. The guest list will appear to you, so you know who’s attending or not. Additionally, you can create custom views of your calendar: how many days to display, weather based on your location, and you can even set it to automatically add Google+ hangouts to events you create. Google+ Hangouts. This is big enough to require another post for another day, but briefly, these hangouts are a fantastic way to connect with colleagues, customers, family – you name it. Just invite the people you want to talk with, check your teeth for spinach, and turn on your webcam. All the invitees must have their own Gmail accounts as well. Whether you like, loathe, or are indifferent to Google, you can’t deny that this suite of business tools is extremely useful. And again, the best part is that they’re free. You definitely can’t beat free! I am so excited to share Carrie Greene’s wise words with you – they remind me the importance of visibility and holding yourself accountable! Carrie’s blunt words and helpful ideas help make her an industry leader! She is a speaker, trainer, coach and author of Chaos to Cash: An Entrepreneur’s Guide to Eliminating Chaos, Overwhelm and Procrastination So You Can Create Ultimate Profit! Carrie helps entrepreneurs cut through the confusion and chaos surrounding them so they make decisions, set priorities, stop procrastinating and make more money. Free resources at http://www.CarrieThru.com. Carrie’s book is available at http://www.ChaosToCashBook.com/excerpt. So here’s the cold hard truth. Yes, I procrastinate. In fact I’m a master procrastinator and I’m not alone. According to studies 95% of all people procrastinate. My personal belief is that the other 5% of the population are lying. Oh and according to those same studies, 25% of us are chronic procrastinators. Just because everyone procrastinates does not mean it is okay. Procrastination is bad for business, bad for profits and bad for you. It’s kind of obvious that procrastination costs us time, energy and money but there are two things that are even worse that we usually don’t realize. You’re being selfish. The people who we are “supposed” to be helping don’t get the help that they need. If you’ve been meaning to write a book, the person who needs to read it can’t. If you don’t get around to following up with the person you met about your program they won’t get the support they need to move forward. Procrastination kills your self esteem. Every time we put something on our to-do list and “put it off until later” we disappoint ourselves. When you wrote “write chapter 1?, “call Joe to follow up” or “layout plan for new program” on your to-do list you created a contract with yourself. When you don’t follow through on your own contracts with yourself how can you trust yourself to do follow through with others? Your belief in yourself effects every conversation you have and frankly everything you do in both your personal and professional life? What’s cool is that despite being a master procrastinator I’ve more than doubled my business this past year, written a book, created, marketed and ran three new programs, attended six live events, presented my own one day live event and so much more. Here’s my secret…I have worked with coaches (that I’ve paid for) since I started my business back in 2003 who have helped me see things that I wouldn’t have noticed otherwise. AND ( here’s my true confession) simply having a coach increases my productivity dramatically. It seems that I often get more done in the hour before I speak with my coach than between our conversations. My coach helps me but it’s not everything, so whether or not you chose to work with a coach privately or as part of a group program, here are FIVE additional strategies I use in my day-to-day business to keep me moving. Make sure that the tasks you are putting on your to-do list are specific tasks and not projects. For instance “Work on Website” is not specific and is a project. Instead write “Spend 30-minutes writing the ‘About Me’ section for my website”. Make sure the tasks you put on your to-do list are really the next steps you need to take. Looking at that website example again, even if you had written “Write about me section for website” ask yourself if that really the next step? Do you need to review other websites first? Do you need other information? Or can you go ahead and open up a new document on your computer and start to type? Set a specific amount of time and set an appointment with yourself to actually do the work. The more specific you are the better. For instance, Tuesday from 1 – 1:30 review other website’s “About Me” section in order to get a better understanding of what I want to do. When choosing when you are going to work on something make sure that your calendar is really clear. Don’t just pick a time randomly, is it a time of day when you are able to focus or do you typically get interrupted at that time? Find someone to be accountable to. Like I said, I frequently use my coach, but there have been many occasions, especially for the smaller, day-to-day type things, that I rely on my network of friends and colleagues. Don’t try to go it alone! It’s important to remember that we are all unique and that we all have strategies up our sleeves that work for us. Share your favorite “get yourself moving” strategies. Yesterday, I announced that we still have some inspiration posts on the topic of gratitude. Why should November get all the glory? We’re grateful in December, too! Rebecca Ramirez is a blogger at Everything Goes With Pink. She is a stay-at-home-mother to 3 daughters and is expecting her 4th daughter in January. She’s an educated mother who has a passion for writing about family life, her varied interests, and the occasional intellectual topics ranging from philosophy to social consciousness – it’s a good thing she’s a freelance writer! Rebecca is determined to raise her 4 daughters with all the care and dedication that they deserve, and is focused on helping them to be the best individuals they can be. Learn more about Rebecca by joining her on Facebook, Twitter , and her blog, Everything Goes With Pink. In this hectic, fast-paced life, it is easy to get lost in the inexorable negative experiences we will face. No person will escape some form of suffering in their life, and many people will continually experience suffering and hardships on what seems like a never-ending basis. Although we cannot always avoid these potentially personally devastating occurrences, what we can do however, is find it within ourselves to harness the power and wisdom to allow ourselves to experience gratitude, despite the situation in which we find ourselves. While it also takes wisdom to find gratitude in many of life’s positive experiences, finding the silver lining of one’s raincloud can be quite the liberating experience. We do, in fact, already possess within ourselves the mental capacity to choose whether we will allow a certain situation to invoke a paralyzing sense of victim-hood, or whether we use the energy and convert it into a more favorable experience, be it on a psychological, emotional, or a spiritual basis. One may not be able to avoid the platforms from which suffering presents itself, such as personal illnesses, detrimental acts of others, or the daily hassles of life, but this should not equate to our lack of control when it comes to how we respond to these events. There is a lesson of gratitude to be found in all suffering. While it may not always offer the immediate comfort one would hope for, there is still always room for finding a way to experience some form of gratitude. For the mother who has lost her child, no amount of gratitude can erase the pain, but in this experience, she can still look to the lesson of suffering and be thankful for the love she was able to experience that only a mother could understand. For the individual who is forced to deal with illness, it is in these moments of sometimes agonizing pain that we most appreciate the delicate frailty of life and the peace of mind that comes with good health. Should this individual persevere through their bout with a physical affliction, it is highly doubtful that much in life will be taken for granted. It is through a lesson of suffering that we can grow to appreciate and have gratitude for the most important things in life. This wisdom of gratitude can transform our thinking on a daily basis, and we can grow to appreciate much more of the simple beauty that life has to offer us all. The Gratitude Project may be completed but I still have some very inspirational stories left to share! 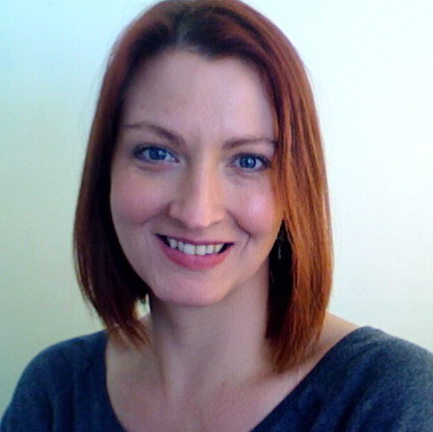 I love getting the chance to showcase new voices on my blog and I am so excited to introduce you to Debbie Mc Loughlin. She is the owner of Africa’s Blog, which can be found at www.africasblog.com. She’s a 30-something Soul African exPat living in Minnesota who enjoys blogging about life and whatever comes her way! As a permanent American resident, she has a unique view on life. Debbie is also a hockey player, hockey referee, CPA, CMA, MBA student, blogger, mommy to 2 fur babies (min pins) and is happily leaving in the mid-west with her partner. You can connect with Debbie through Facebook and Twitter! As I’ve aged, and yes I’m only 31 but still, I’ve realized that in life there are so many things to hold dear, so many things to cherish and so many things for which one should show their gratitude. I’ve definitely learned that this gratitude thing should not only be thought of once a year during Thanksgiving week, but that we should really value all that we have on a daily basis. I think we often sit and think of the things for which we should be grateful and we default to our families, our life partners, our children, etc. What I have started to do is to let these “big picture” individuals know that I am extremely grateful they are in my life, and for all they do or have done for me, as often as I can. However, I now also take time out of my day to think of the “little things” I have in my life to show gratitude for. There are so many things and without daily (I try to do it daily) reflection time I wouldn’t remember to be grateful that I have remained injury free with regards to my playing/officiating hockey, that although my little dogs barking is annoying it means that they are healthy and love me enough to want to protect me, and that after a long hard day in the office, a friendly chat with a stranger on my way to the car can really brighten up the evening!! These are just examples of the “little things” in my life, but I really do feel that our lives are much happier when we take time out of our busy lives to truly reflect on all that we in our lives that we really should be showing gratitude for. Today I want to introduce you to one of my dearest friends and mentors, ALisa Starkweather. She is the founder of the Red Tent Temple Movement, Daughters of the Earth Gathering, Priestess Path Apprenticeship, the Women’s Belly and Womb Conferences and co-founders of Women in Power; Initiating Ourselves to the Predator Within. She is a contributor in the newly published anthology, Women, Spirituality and Transformative Leadership; Where Grace Meets Power and is working on launching her new internet show, She Loves Life. She is featured in the upcoming documentary, Things We Don’t Talk About. This springtime ALisa is hosting a teleseminar among the wisdomkeepers to bring women and men together in a global dialogue of “It’s Time for a New Story”. According to ALisa, I am one of her “most beloved and treasured sisters on the path of life.” What a HUGE compliment! I’m so excited for her to share her wisdom today. To connect with ALisa, follow her on Facebook. You can also follow the Red Tent Temple Movement on Facebook. You can experience ALisa’s programs by visiting www.alisastarkweather.com. As a young teen I once read that if I woke up every morning and began to say thank you until sleep it would never be enough time to count my blessings. Now that was a gratitude lesson into wide-awake consciousness. Why? Because a couple of things dawned on me pretty quickly; the likelihood of following through with this practice of a chorus of thank yous echoing in my mind as a backdrop to my senses seemed a remote possibility. Also I did the math and realized that with my present viewpoint, I would run out of good things to say pretty quickly. That is, unless I changed my perspective on what I was appreciating about life. This pivotal moment however woke me up as a teenager to what we likely take for granted when we are not noticing the dawn, our ability to breathe, our constant beating heart, the vibrant colors or the things in my lifetime that I would not yet know were ephemeral like the abundance of songbirds, the honeybees, and with the birds and the bees, the ending of my virginity. By seventeen I became the single-parent mother giving birth to this magnificent gift of life while being on my own to discover where one finds good when life turns into hardships. Yes as you can imagine, poverty, lack of continuing education, low self-esteem, depression became the internal dumping grounds in my psyche where my dreams were trashed. Did that ever happen to you too I wonder in some way? I would go there and pick over little chards of who I once was or wanted to be and bring them home again with a deeper sense now of what it means to find treasures in life in the most forgotten places inside. Gratitude was no longer a good idea for a spiritual practice or a learned courtesy of “hey thanks” but an actual means of survival where one remembers that no matter how hard things become to live at all, to breathe at all, to be part of this mad horrific beauty is everything…. everything. Unlike the generations to come, my life then was not about stuff that I materially desired but rather a simpler ground of do I have the courage and the faith and the will to live this day? Each moment of “thank you for this life and all the beauty, all the miracles, all the tiny triumphs” gifted me with the next ability to face hardship graciously and strengthened my resolve to live into the wisdom that would become my bedrock as the mature woman in my fifties today. Little did I know then that by walking that path, anchoring to the wisdom of gratitude I would later be a teacher for women’s empowerment and on the path of the ecstatic wild woman where sleeping on the floor of a cave with dripping waters flowing off rock walls is a phenomenal experience that I say wholeheartedly, “Wow. Thank you. What an unforgettable night!”. Or dealing with whom many might consider a difficult personality in my work has me exclaim sincerely, “What a great woman. What a teacher for me to examine my own vulnerabilities!” I admit that sometimes I am like the baby of life who wants to spit out the mouthful of food that it spoonfeeds me while saying that it is yummy. I am not going to lie to you because you know as well as I do that it doesn’t all taste good. What is remarkable however that with choice, with finding our ground for digesting life on its terms, we have the opportunity to take the energy life gives us and do some amazing turn-arounds if we choose to. We’re nearing the end of the Gratitude Project Blog Summit but we’re SO much closer to the BIG day! Are you taking part in tomorrow’s revolutionary call-in? There’s still plenty of time to register! Even if you only have a few minutes at the start of each hour, I urge you to spend it with the Soulful Coaching community as we exercise and practice these powerful gratitude rituals! Take a few moments to look at the agenda for tomorrow by clicking here. Danielle Bishop is new to the Soulful Coaching community and I’m really excited to introduce you to her because she has a really great story to tell on gratitude. Danielle is a blogger over at We Have It All – she’s married and a great mom to five kids with another on the way! By day she’s a childcare provider and by night she’s a freelance writer! She’s a Christian mama who enjoys writing about parenting, family life, and even has time for some amazing product reviews! She’s doing her best to stay sane in a world of chaos and she’s grateful for that ability! Keep up with Danielle by following her on Facebook, Twitter, and even WhatToExpect.com! When I think of the word “gratitude” the word “thankful” comes to mind. The word “grace” follows. I could fill up a notebook, line by line, with the little things like a cup of coffee before bed, the quilts laying in every room of my house, a shower *alone*, open windows throughout the house on beautiful days, all of the neighborhood kids playing in my backyard… and the list could go on until the end of eternity. Or I could list the big things like the love of my amazing husband and 5 fantastic kids, our health, having both of my parents still, having a roof over my head and food on the table… and again, this list could also go on and on. But in reality, these things are are not things that have just ‘fallen’ in my path. These things are all provided by God. Ever since my kids were little and we prayed together, I’ve always taught them to begin their conversation with God by thanking Him. Thank Him for what He has blessed you with. If it were not for Him, where would we be? So what am I really thankful for? God’s unmerited favor that I do not deserve. I could nothing to ‘earn’ His love and His Hand on mine guiding me along through my valleys and struggles. There have been days in my past when I did not know what I was going to feed my kids that night for dinner. Those same days where an acquaintance would show up at my door and say, “We won’t eat this stuff, but I was hoping you and your kids will”. I have done none of this within myself. Of course I have always tried my best to do what was right but ultimately I have done nothing without God. Romans 7:18 says, “I know that nothing good lives in me – I mean, nothing good lives in the part of me that is earthly and sinful. I want to do the things that are good, but I do not do them”. It was always God by my side. It was always God. It was Him that has had our lives in the palm of His hands. And I am so thankful for His love and mercy and grace. I can not look at this photo and not see what God has done for us. The BIG day is almost here – have you registered? The Gratitude Project is going to be revolutionary and I hope you’ll take part in it! Imagine how much better your life, your business, and your soul would be if you took a few minutes every day to be grateful. For the past week, we’ve read posts from people of all walks of life – everyone has a different view on gratitude. What’s yours? My good friend, Shelley Hawkins, MS, has another perspective on gratitude. As a Teacher, Author and Intuitive, Shelley coaches professional men and women who are ready to break through the inner obstacles that hold them back and keep them repeating the same frustrating patterns–in relationships, business, work, health, wealth and in who they are being—to create their soul-driven lives intentionally and LIVE their radical selves. To apply for Private Coaching with Shelley at The Self Connection™, click here. Subscribe to The Self Connection™ award winning Ezine and Monday Wisdoms™ for F.R.E.E. energy transformation and inspiration to support you in your soul-driven, intentional life. Coming soon, The Self Connection™ Live Yourself™ Breakthrough Experience. To connect with Shelley, you can find her on Facebook, Twitter, and LinkedIn! One of the paradoxes of transformation is that gratitude for both what you love and the presence of what you don’t love are both a way of saying, “Yes”, to Life. The paradox being that acceptance, like forgiveness, is not condoning the condition; it is a way of evolving through it. Gratitude is like driving your stake deep in the ground and saying, “this is where I stand”. You are validating your very existence, your cosmic necessity to and with the whole, and your ability to create with it. Your gratitude says, “Yes, I’m willing to participate with Life with my unique genius from what I know and where I am right now in the giving and receiving of Life.” It becomes the attraction for all that you desire and the transformation of what you do not. That is not where I started with gratitude. Like most, I suppose, I knew to count my blessings, which evolved into disciplined thankfulness and the power of a positive attitude. A few years later came energy, gratitude lists to build my gratitude muscles, and other tools and disciplines to keep it flowing. But it became most fun when it penetrated the surface, went beyond what I wanted to create, beyond politeness, beyond my disciplines, beyond avoiding “negative” emotion, and became an integrated way of being—not perfection, mind you—being. Rachel Naomi Remen said, “Those who nurture the hidden wholeness in those around them become the architects of a new world.” The integration of gratitude acknowledges that wholeness, the invisible—or not so invisible—connections between all that is. Gratitude integrated as a way of being then becomes your path of authenticity, of creative intention, and of wholeness for yourself and a new world. I’ve been re-reading through all of the amazing posts that have accumulated throughout the Gratitude Project Blog Summit. There have been so many brilliant minds and I am so grateful to each and every one of them for their insight! We have two more days still of the blog summit which means the BIG DAY is so much closer! Have you registered? Take a moment to think about how this world might be better if we were all a little more grateful. We can accomplish a better world together, it all starts with the Gratitude Project! Ever wondered what your body has to do with gratitude? My good friend, Amanda Moxley, brilliantly explains to connection between the two. Amanda is a Body Transformation Expert and Coach who first transformed her own unhealthy relationship with food, body image and body size from a size 14 to a size 4 naturally and without going to extreme measures. Amanda is a board-certified holistic health coach, yoga teacher, certified social worker (CSW) and an award-winning business owner. She is an avid world traveler, wife and mother. For free gifts and more go to www.AmandaMoxley.com. If you’ve ever struggled with your weight, body image, emotional eating, or self sabotage with food, Amanda’s “Get YOUR Ultimate Body in 30 Days Guided Visualization” and the “Love Your Belly Guided Visualization” will allow you to discover the SOUL root of the issue and get you on track to feeling radiantly healthy, energized and alive. Grab your free mp3’s here. How often throughout your day do you catch yourself thinking or feeling thoughts about not liking your body, or wishing it looked different, or beating yourself up about not eating the right thing, or being mad at yourself because you let yourself down again by not keeping your commitments and intentions to yourself or calling yourself fat or feeling frustrated because your clothes don’t fit? Tune in to your inner dialogue today and measure on a scale from 1-10, 10 being your highest how much energy, feelings, thoughts and time you are spending on thinking negatively about your body, body image, size or food. What’s your number? I’ve coined that number your Body Barrier™ number. Using the POWER of gratitude, let’s channel your Body Barrier™ number into your heart’s true desires! Love is the ONLY ABSOLUTE. According to Heart Math Institute the heart is 5000 times more powerful than the brain. Transforming your body requires you to move deeper into LOVE and this can be easily done by being grateful. Step 1: Think of the body part you may have disowned or that you deeply dislike. Step 2: Sit in a quiet and safe place. Enjoy some deep nourishing breaths. Conjure up all of the unkind thoughts, feeling and emotions you express to your disowned body part on a daily basis. Step 3: Think about a person in your life who you LOVE whole heartedly and unconditionally. It could be your child, sister, mother or niece. Step 4: Imagine saying the mean things you express to yourself habitually every day of your life to your beloved. Step 5: Can you do it? Step 6: AH HA! Do you see now? You wouldn’t and couldn’t ever express any of the mean things you say to yourself daily (some of you for 20 plus years) to your beloved. So, why are you doing this to yourself? Step 7: Place your hands on your disowned or deeply disliked body part and imagine you have white light in your hands, breathe this light into your body. Step 8: Have a heart to heart with your body. Tell it you are sorry and that you never knew how mean you were being to it. Tell it you love it and will do anything to heal your relationship. Step 9: What about this particular body part are you grateful for? Mentally or physically write down everything you are grateful for about this body part. Every morning and evening when you are lying in bed, place your hands on your body and breathe love and gratitude into it. Mentally go through every reason why you are grateful for your body. Next, dedicate a special gratitude journal to your body and write 5 ways in which you are grateful for your body today. Please do NOT repeat the same 5 things every day! This will stretch your imagination and your appreciation muscles! Your body was meant to be healthy and vibrant. Trust the simplicity of this exercise and watch your body transform before your eyes over then next month. Can you believe it’s already Day 7?! That means the Gratitude Project is almost here! I can’t wait to spend the top of each hour with you learn, teaching, and crafting a new way to be grateful! Want to spread the word? I’d love the help! Still on the fence? Take a look at the schedule I’ve set up to help us all experience different waves of gratitude here! I hope to hear you on the call! Our first guest writer today is one of my favorite advocates of joy, Jennifer Zwiebel. She is an Intuitive Organizer, author, speaker and founder of A Place of Joy™: Inspired Organizing and Business Strategies for Creative Entrepreneurs. Jennifer guides clients to clear out both their inner and outer space, release chaos, and design systems that bring ease, joy and prosperity to their businesses and lives. Join the Place of Joy™ community at www.aplaceofjoy.com, and get started on your own path to clarity and joy with Jennifer’s powerful gift to you at www.aplaceofjoy.com/10minutemiracle. You can also connect with Jennifer via Facebook and Twitter! I’ve been consciously practicing gratitude for the last few years and I can see the difference in the way I feel, what I focus on and what I attract. I now walk down the street grateful for the shining sun, for the fact that I get to walk my son to school, for the miraculous baby I hold in my arms. I start my mornings being grateful for the gift of the day that lies ahead of me and end my day listing at least three things for which I am thankful. This is not to say that there aren’t plenty of things for which I am not so grateful. There are the dirty dishes, the piles of paper, the loads of laundry… I’ve discovered, however, that while it’s less easy to appreciate the things that make you cranky, scared, or pissed off, that’s where the gratitude actually gets more rewarding. You see, your mind can’t do two things at the same time. Your first instinct may be to get frustrated when something pisses you off, but when you choose to find a reason to be grateful instead, you refocus your mind and veer off in a new direction. I realized I was quickly heading into a morning full of frustration, and decided to redirect my thoughts. I latched onto the first one that came into my head: “I’m grateful he still has hair.” That worked for about 60 seconds, but then I started cleaning the tub and got all pissed off again. So I worked harder to pull my mind back onto another track, and this time started thinking about how grateful I was that he’d stayed up the night before with our son who’d developed a fever. This led me to be grateful that he was such a good father, that I had him as a partner, that we were working together to raise our children in a loving, respectful way. By now the thoughts were flowing naturally, and both my mind and heart were in a grounded, grateful place. This didn’t mean that I forgot about the hair in the tub, but it meant that I could (1) get past the anger and do what needed to be done so I could move forward, (2) tell my husband what I didn’t like and what I needed in the future in a calm way that enabled him to hear me, and (3) regain perspective and spend time being amazed at my real good fortune. This practice may feel forced in the beginning, and your mind will likely revert quickly back to the initial not-so-grateful feeling. But if you’re willing to keep searching for something else to be grateful for, you’ll be surprised at how quickly your mind expands and fills with reasons to rejoice. In just two days, we embark on an amazing journey – are you ready for the Gratitude Project? I am beyond excited for this day of gratitude and I hope you’ll join me! All it takes is 10 minutes at the start of each hour to phone in and practice important exercises that will really help you feel more gracious and grateful! Take a chance and sign up! This afternoon’s guest writer is none other than Lynn Smith! As a health guru, she has a unique spin on gratitude – and it’s one that will help your health! Lynn is a women’s weight loss expert, providing weight loss programs that work to shift a woman’s beliefs about what is possible for herself. To receive tips for weight loss, articles and guidance, subscribe to her newsletter “Vibrant Living for Women” at www.healthcoachteam.com. What if there was a simple way to improve your health that didn’t require dieting or exercise? Would you do it? There is and that simple way is expressing gratitude. New research is showing that there is scientific evidence that gratitude produces health benefits. Two foremost researchers in the field of gratitude are psychologists Robert Emmons at the University of California at Davis, and Michael McCullough, at the University of Miami. Emmons and his colleagues at the University of California at Davis are among the pioneers in research on gratitude, which is part of a larger movement called positive psychology. Positive psychology studies health-promoting behavior and the pleasurable parts of life rather than focusing on illness and emotional problems. They found that people who kept gratitude journals on a weekly basis exercised more regularly, reported fewer physical symptoms, felt better about their lives as a whole, and were more optimistic about the upcoming week compared to those who recorded difficulties or neutral life events. Those who kept gratitude lists were also more likely to have made progress toward important personal goals. Young adults who practice daily gratitude had higher levels of alertness, enthusiasm, determination, attentiveness and energy compared to the group that focused on difficulties. The research keeps adding to the list of benefits that come from practicing gratitude. The reason for this is because when we think about someone or something we really appreciate, and experience the feeling that goes with the thought, the parasympathetic—the calming-branch of the autonomic nervous system— gets triggered. The electromagnetic heart patterns of volunteers tested became more coherent and ordered when they activated feelings of appreciation. Another study at the University of Connecticut found that gratitude can have a protective effect against heart attacks. While studying people who already had one heart attack researchers found that those patients who saw benefits and gains from their heart attack, such as becoming more appreciative of life, experienced a lower risk of having another heart attack. How can you put this to use in your life? Set aside some time, maybe at the end of your day, to reflect and record. You may even want to buy a special journal to use. Create a space and make this a daily ritual.